24th February 2019 Rev. Gavin Perkins Colossians Why are we here? 17th February 2019 Rev. Gavin Perkins Colossians Why are we here? 10th February 2019 Rev. Gavin Perkins Colossians Why are we here? 5th February 2019 Rev. 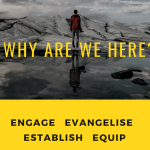 Gavin Perkins Colossians Why are we here?